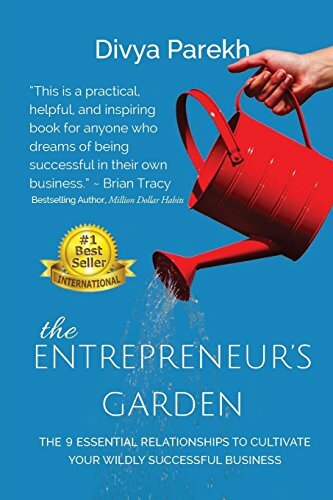 The Entrepreneur’s Garden is an insightful and compelling book exploring the nine essential relationships that business owners need to master to be successful while keeping and growing their passion for what they do. The story follows an entrepreneur named Sally who started her own business. While things begin well, she soon finds herself grappling with growing her company. Realizing that she needs to change her approach or give up on her business reaching the next level, she sets her intentions on finding a mentor. Sally meets Dee, who enters her life as a mentor just when Sally needs it the most. Dee is a successful entrepreneur and believes in sharing how she learned to keep her businesses running smoothly while pursuing other things that were important to her. She points out to Sally that by concentrating on nine key relationships, she can surpass her dreams... and have fun doing it. The book is a story that both new and experienced entrepreneurs can relate to: How to plant the seeds of successful business operations and reap a bountiful harvest at the end. The Entrepreneur’s Garden helps the reader understand the organic way to accomplish this so that both your personal and professional life thrives and soars towards your goals.